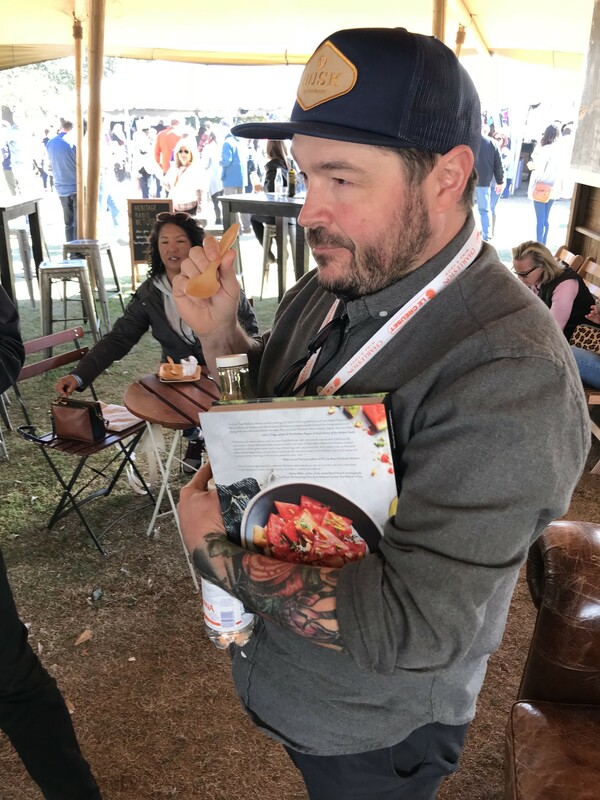 According to Sean Brock, the first time he smelled Sapelo Island Purple Ribbon Cane Syrup, it reminded him of truffles. Sean, along with Glenn Roberts, Stephen Kresovich, and many others, have become fans and advocates of the syrup. 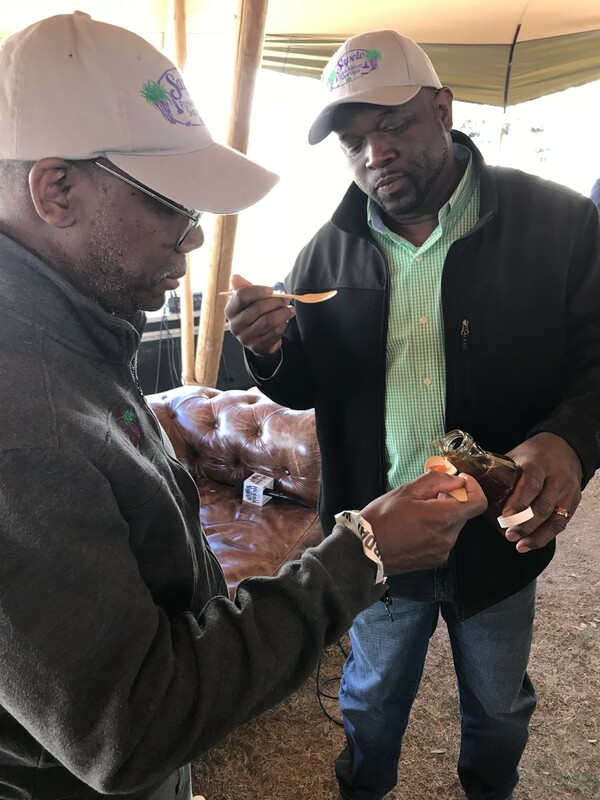 They are supporting the efforts of Doc Bill Thomas and Jerome Dixon, the partners behind Georgia Coastal Gourmet Farm, to bring purple ribbon cane back to an island that is home to a small community of Gullah-Geechee decent. This is the first of two panels at the Charleston Wine + Food about the history and current state of South Carolina’s foodways. Specifically, we take a look at crops that have been on the brink of extinction but through dedicated collaboration have been brought back, so these valuable genetics can be preserved for future generations. Sean Brock is the Chef/Partner behind Husk restaurant, which most recently opened a location in Savannah, GA. Not only has he brought attention to Southern cuisine through his award-winning restaurants and coookbooks, Sean has also spent time developing his own farm to experiment in resurrecting and growing crops that were at risk of extinction, such as those indigenous to this area pre-Civil War. Glenn Roberts is the Founder of Anson Mills. Glenn is a visionary who is best known for his work with Carolina Gold Rice, but he has supported the efforts to revive many Southern crops. He works tirelessly to manage his old grains, the land, and their growers, as well as chefs and retail customers. It’s a relentless effort. But only rarely must he wear a suit. Doc Bill Thomas has been a resident of Hog Hammock – the small community on Sapelo Island, and is of Gullah Geeche descent. Doc Bill has edited and co-authored Cherokee and Sapelo Island cookbooks and posted a series of YouTube videos about Sapelo cooking. Jerome Dixon is the co-owner of Georgia Coastal Gourmet Farms. Georgia Coastal Gourmet Farms produces Sapelo Island Red Peas and Sour Oranges. 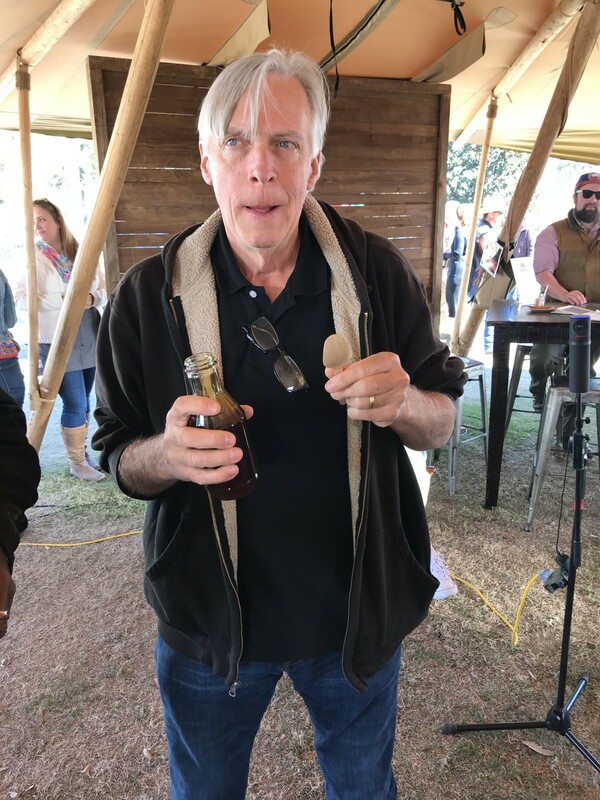 Jerome and Doc Bill are business partners and have led the charge to bring Purple Ribbon Sugar Cane back to Sapelo Island and begin production of the syrup.